Speech therapist Fe Hernandez is the most positive woman in the world—except when it comes to love. Years ago, a workaholic physician broke her heart and almost ruined her career, so she has sworn off doctors ever since. It’s very inconvenient that the only man who’s tempted her in ages happens to be a physician. Dr. Shawn McDevitt is irresistibly attractive—but also the incarnation of everything Fe promised to never bring back into her life. To make things worse, the success of her business depends on keeping their relationship professional. If she had any sense, she’d run away. But he’s the father of her most challenging case, and Fe has never given up on a child. ICU specialist Dr. Shawn McDevitt has had a rough couple of years between hate letters, work upheaval, and the collapse of his short, stormy marriage—not to mention the small-town gossip that he murdered his wife. His son’s speech delay might become the last straw. All Shawn wants is a little break in life, and the break he craves is Fe—the only woman who can make a difference in his son’s future. It’s going to take super-human discipline to keep his hands off her for the love of his son. 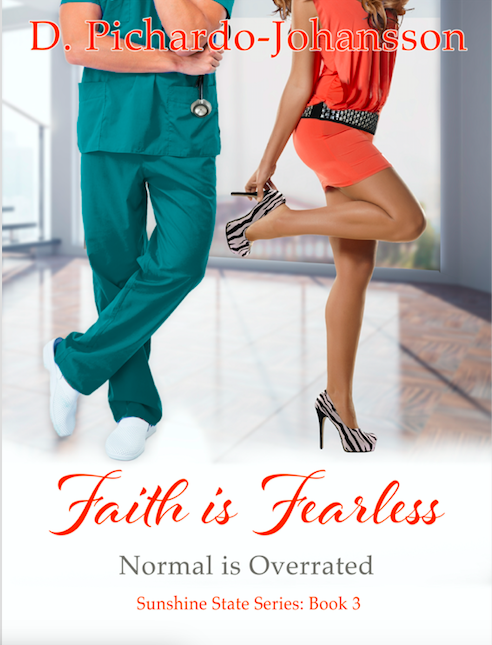 When the hate letters take a sinister turn, Shawn and Fe risk losing more than their budding relationship. Is Shawn’s bad luck going to hold, or is Fe right to believe that everything works out for the best?